Even if you walk away from a car accident without needing a trip to the ER, chances are you’re going to feel it in the coming days. 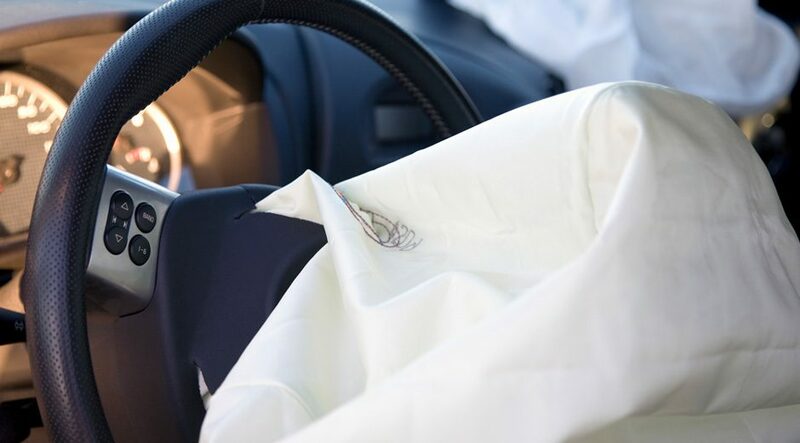 Even small auto accident injuries can mean a pain in your neck, back, shoulders, hips, or other areas of the body. When you are in a moving vehicle, your body is moving at the same speed as the vehicle through space. Put a sudden stop to that, and your entire musculoskeletal system undergoes a tremendous amount of shock. Even 30 miles per hour is a lot of force for your body! Luckily, you may not need to go to the ER or your doctor. While you could just ride out the discomfort, there are some significant short-term and long-term benefits to seeing your chiropractor after a car accident. Not all injuries are obvious right away, especially when you are running on adrenaline right after the accident. You can easily spot broken bones and bruises, but do you know the signs of whiplash? Not everyone develops the tender and painful neck. Rather, you may find that a few days after the crash, you are suffering from headaches, blurry vision, and dizziness, as well as a slight stiffness of the neck in the morning or after sitting for a long period. Whiplash is something that chiropractors can treat immediately, and you will experience instant relief from the pain and the side effects. A spinal adjustment in addition to exercises that help reduce swelling and pain can help you avoid weeks of discomfort and a trip to a specialist. Pain relievers are like giant Band-Aids for the real problem, but many people take them religiously any time they have an ache. The problem with this behavior is that it can be very damaging to the liver and other organs. Painkillers, even over-the-counter medications, can be addictive, and at the very least, they become expensive when you take them frequently. A chiropractor can help you realign and get rid of even the minor aches and pains associated with a car accident. Imagine waking up not even remembering you had an accident two days ago because your body feels brand new. Chiropractic care includes stretching techniques, massage techniques, spinal manipulation, and muscle-strengthening techniques that help increase blood flow to get rid of pain naturally. Just like some injuries can take a few days to show up, there are some medical conditions that can take months or years to surface after a car accident. Whiplash symptoms can actually go into remission and then pop up again years later, with no secondary incident whatsoever, if not treated properly. This can have a long-term effect on your vision, your mental focus, and your overall well-being. By seeing a chiropractor right away, you reduce the risk of any lingering medical conditions. There are certain chiropractors that specialize in the treatment of connective tissue, nerves, and muscles. These specialists can make sure that no pinched nerves or stretched ligaments are left untreated. This helps reduce the risk of future injury. As far as your body is concerned, it will be as though the accident never occurred. Additionally, by having sensitive areas of the body, such as the neck, treated right away, you can avoid a future in which surgery or prescription painkillers is your only option. For this reason, many insurance companies will cover the cost of a chiropractic visit right after an accident. This method of treatment is far less expensive for your insurance company than a surgery or years of prescriptions. Be sure to find out if this is covered and take advantage of it. If you are negotiating an insurance payout or settlement, then one of the things that you must do is provide proof of treatment for injuries as well as a doctor’s assessment of any injuries that occurred. By coming to a chiropractor right away, you will be able to keep the ball rolling and get your insurance settlement much faster. A Doctor of Chiropractic, or D.C., is a medical professional who can provide medical documents to an insurance company, much the same way a dentist could. Finally, seeing a chiropractor is safe for your children as well. Chiropractors work on infants all the way up through elderly adults on a regular basis. If your little ones were present in the accident, they may not even know how to tell you that their vision is blurry or that they are dizzy from whiplash. A chiropractic checkup can ensure that everyone in your family is healthy and in great shape after a car accident, through natural and non-invasive measures.